PayPal is an online payment service that allows you to pay your purchases at sativus.com and many other online stores through your email address. PayPal already has over 100 million accounts. All PayPal members benefit from practical, fast and secure payments. You too can easily join PayPal by clicking the Sign Up button on the homepage of PayPal. During your registration at PayPal, you can link your bank account or credit card directly to your PayPal account. In this way your bank account- or credit card details will no longer be necessary when making a payment through PayPal. In order to send a payment to another PayPal user, you will only need to know the PayPal e-mail address of the recipient. After the acceptance of a payment, PayPal charges the amount automatically from your bank account or credit card. We accept the following credit cards: Master Card , Visa Card , Visa Electron, American Express, Diners Club, Carte Bleue and Postepay. A credit card payment is done through a secure SSL server that sends your data encrypted. Your data will be verified directly with the credit card company that approves your payment after a few seconds. What happens when my payment is being rejected? It may happen that your credit card payment is rejected, for example, when the limit of your credit card is reached. In that case you will get the opportunity to choose a different payment method, or to try again. All your data, including your credit card number and login code are protected by SSL. This is a strong form of encryption, which prevents that malicious people will be able use your data. Bancontact / Mister Cash is the online payment system developed by all banks in Belgium and is the most accepted online payment method in Belgium. 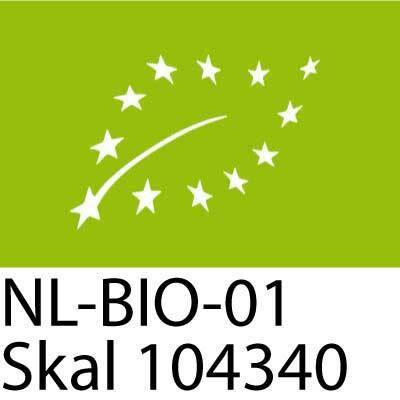 All Belgian customers using internet banking, can use Bancontact / Mister Cash. They can pay for their purchases directly in their familiar banking environment. 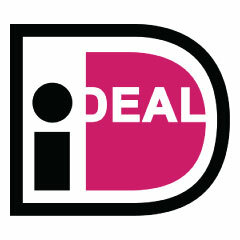 With iDEAL is a Dutch payment system which allows customers to pay for their online purchases. This system links you directly to your Internet banking account during the checkout of an online purchase. To make use of iDEAL, you don't have to register, create an account or download any files. If you are using online banking at ABN AMRO, ASN Bank, Fortis, Friesland Bank, ING Bank, Rabobank, RBS or SNS Bank, you will be able to pay by iDEAL. With iDEAL you are able to pay quickly and easily in the familiar online banking environment of your own bank. SOFORT Banking is an online direct payment method and works on the basis of the tried-and-tested online banking and can be used by consumers owning an account for Internet banking in one of the following countries: Belgium, Netherlands, Germany, Austria, Switzerland, Hungary, Poland, Italy, Spain, France and the United Kingdom. The big advantage is: You don't need to register or open a virtual account, known as a wallet. It is an immediate and direct transfer of funds. Customers who select SOFORT Banking as their preferred method of payment for a purchase in our shop will be directed straight to the secure sofort.com payment form. All transfer data is carried over automatically so that you only need to enter your bank's sort code along with your usual online banking login details and finally the confirmation code in order to authorise the transfer. If you prefer to pay your purchase by bank transfer this will also be possible. After you have placed your order with us, you will receive an invoice with the payment details by email. You can transfer the total amount of the invoice directly to our bank account. -Will It be possible to pay by PIN? Unfortunately, it is not possible to pay your order by means of a PIN transaction. -Will it be possible to pay cash? Only if you choose to pick up your order with us, it will be possible to pay cash. -Will It be possible for private customers to pay after receiving their order? It's only possible to pay your order afterwards if that's agreed with us in writing.